A trio of north-east wrestlers took the podium by storm at the British Senior Wrestling Championships in Manchester this weekend. 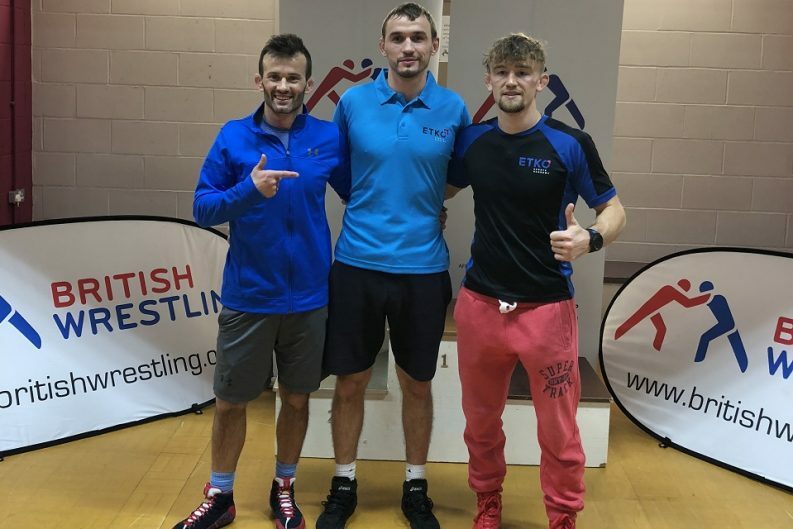 Viorel (Vio) Etko, Nicolae (Nico) Cojocaru and Ianic Saculţan, all of whom train at ETKO Wrestling Academy in Oldmeldrum, each won the gold medal in their respective weight categories. Vio Etko (40), who established ETKO Wrestling Academy, is no stranger to the podium top spot. His gold medal in the 61kg category represents his eighth British Championships win and follows victory at the Veteran World Championships in Skopje, Macadeonia in September. “This was always going to be a tough competition coming so soon after the Veteran World Championships,” said Vio. “The rounds were very challenging and I am extremely pleased to come away with the gold medal. Vio’s club mate and fellow wrestling instructor at ETKO Sports Academy, Nico Cojocaru (31), won gold for ETKO Wrestling Academy in the 74kg category. The title is his fifth at British level. Ianic Saculţan (28) completed the hat trick of golds for the club with victory in the 79kg category. Oldmeldrum-based ETKO Sports Academy is the training home of ETKO Wrestling Academy, a programme for junior and senior wrestlers who demonstrate the appetite and ability to compete in the sport. The programme was developed by Vio Etko, who founded ETKO Sports Academy with his wife Laura in 2010. In addition to the competitive wrestling programme, Vio has also developed Mighty Movers and Wrestling4All sessions, which are attended by over 60 boys and girls at different school stages.